Clothing shouldn't cost the earth which is why Couchman Bespoke is dedicated to reduce the environmental and human impact from the clothing industry. By creating zero waste through pattern cutting, natural dyeing and sourcing the most sustainable cloth and haberdashery we aim to have very little negative impact against the planet and local people. Resulting in luxury British tailoring that is stylish and ethically made. Claire has 10+ years of design, making and retail experience since leaving Brighton University. 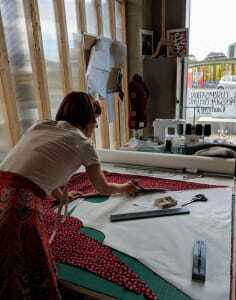 From sewing for the first time, cutting a pattern to making a garment from scratch. All that you require is ready for you to learn within a pleasant environment and with a patient tutor. Pick the class you would like to work within and speak with us about your abilities. You are welcome to bring along cloth you have at home; it is better to use cloth rather than to store it and miss out on the time spent wearing it. Otherwise we do provide all that you need from sustainably sourced cloth to a vegetarian mezze lunch and all the equipment you may need. 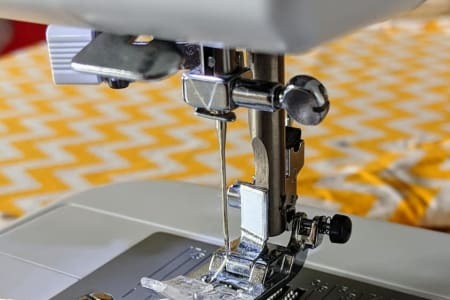 Make your own classes are for the more adventurous machinist who would like to try something new, and for someone who can sew by machine. Choose to make a shirt, trousers, dress, a jacket or copy a garment you love and already own.